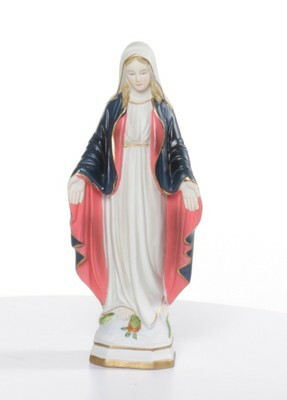 Painted porcelain statue of Virgin Mary. The coloring on this rendering shows a hot pink lining to a deep gray-blue cape; the original creator's sticker was covered by a Palmyra stamp. The sticker is red but no longer discernible.